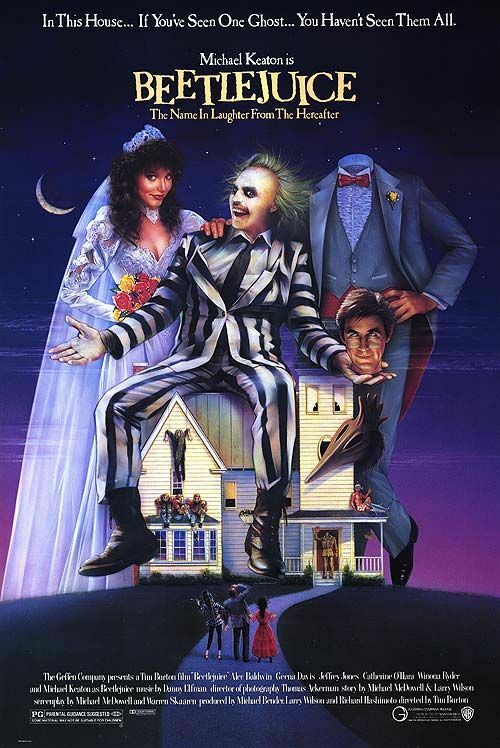 While Hollywood loves to sequalize and universe-ize everything these days, one of the more curious sequel prospects to arise over the past few years has been a Beetlejuice sequel. Director Tim Burton’s phenomenal 1988 original isn’t a film that one would necessarily think would spawn a follow-up over two decades later, but word surfaced a few years ago that following their collaboration on Dark Shadows, Burton had agreed to let screenwriter Seth Grahame-Smith pen a script for a follow-up simply to see what became of it. In the years since, fan fervor for Beetlejuice 2 has only grown louder, and rumors have taken on new lives of their own all the while Burton has yet to ever officially commit to making the film a reality. So there we have it. The desire to make Beetlejuice 2 is there, but the movie is far from a reality or a sure thing just yet. In the meantime, Burton is one of the most highly sought-after directors in the business, and has agreed to helm a live-action Dumbo for Disney, so it could be a few years before this thing becomes a reality even if the conditions are to Burton’s liking.